​A couple of weeks into May and it's finally starting to feel like spring here in St. Louis. So while I put the winter gear into storage a few weeks ago, it just hadn't felt quite right temperature-wise to get lighter fabrics and colors into rotation. 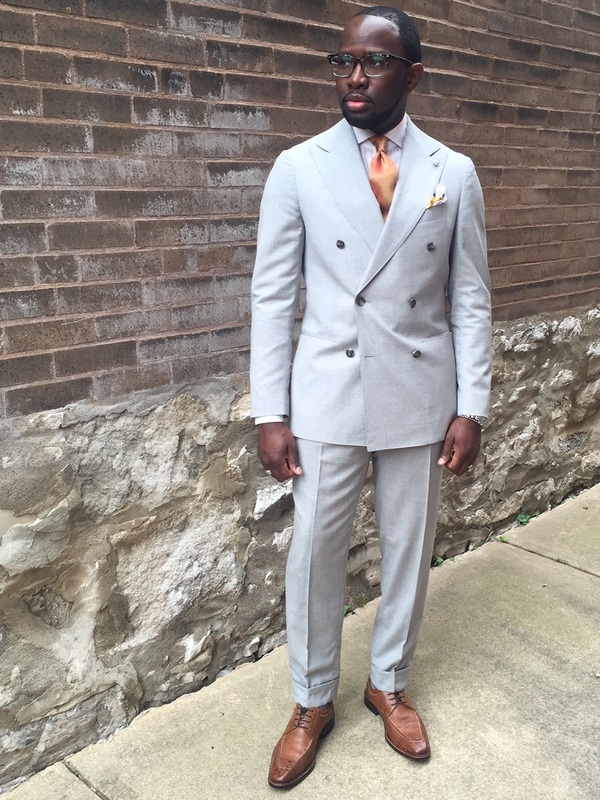 Now, I'm happy to say its on....yet as I've analyzed my wardrobe, I now realize that my spring/summer suit rotation is not quite where I would like it to be. But that's a conversation for another time. A week or so ago, I was offered an opportunity to check out a tie by Weybridge 1761, a small brand I became acquainted with on Instagram. I selected the "Randolph" tie in green, and was pleasantly surprised to receive this "Bennington" orange tie as well. 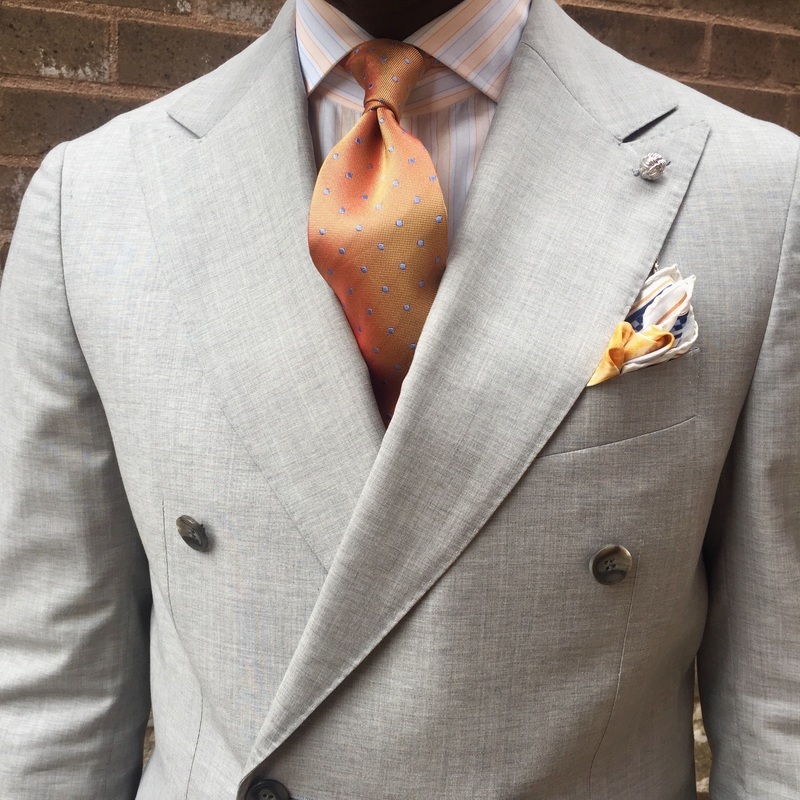 As you may be aware, my knot of choice is the double four-in-hand and the beautiful knot and dimple you see to the right here was the result of my very first attempt at knotting the tie up. The tie itself feels substantial but not bulky if that makes any sense and color is attention grabbing without being overly ostentatious given the environment I operate in. 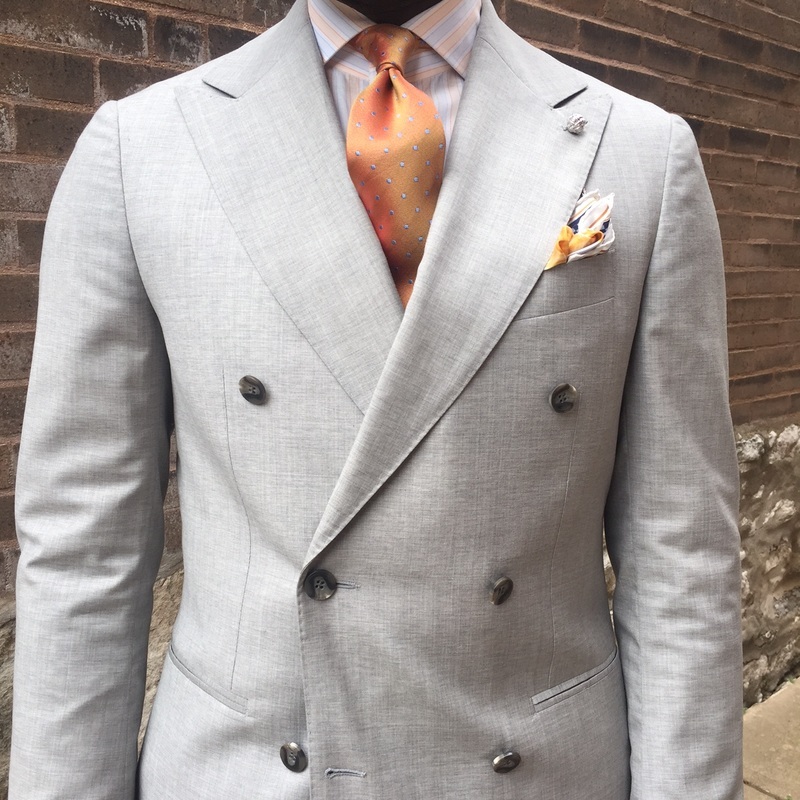 Dove Grey Wool Double Breasted "Soho" Suit x Suit Supply, Orange and Light Blue Striped Shirt x Finamore Napoli, Orange "Bennington" Silk Tie x Weybridge 1761, "Knight's Move" Pocket Square x R. Culturi, Silver Infinity Knot Lapel Chain x Monsieur Fox.